Most people when they think of Crete (Greece) imagine crystal clear waters and endless sand beaches. 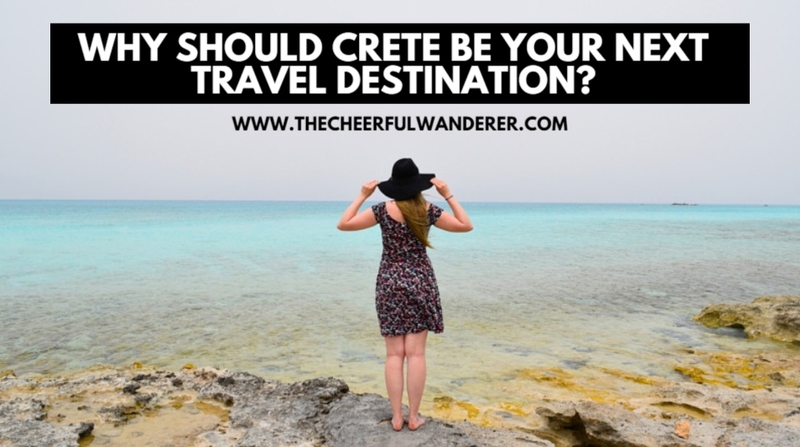 It’s true, this is something Crete has, but there’s so much more to see that even if you come in all four seasons, your list will still not be fully checked. Locals like to joke that although they’ve lived in Crete for decades, they had only experienced a tiny bit of everything there is. 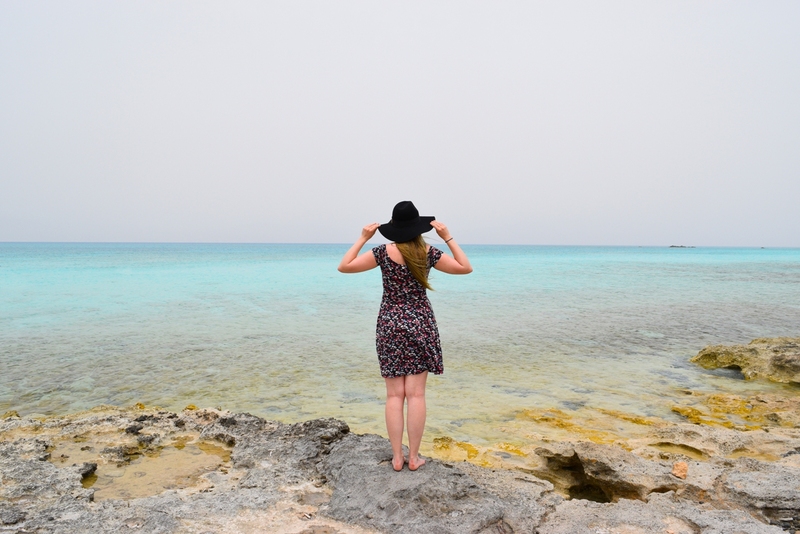 We’ve spent 9 nights on the largest Greek island and fell in love with the diversity it has. Warm-hearted people, fantastic food, rich history and beautiful nature – when can we move? 1. There’s so much to see! The island is so rich of beauties and treasures that you will need a lifetime to discover. I know we will be back to explore more. Plenty of it. It would be a disservice to talk about Greece or most importantly, Crete, and not mention the food. The Cretan Diet does not only ensure good health and long life because it’s nutritious but is also very tasty. 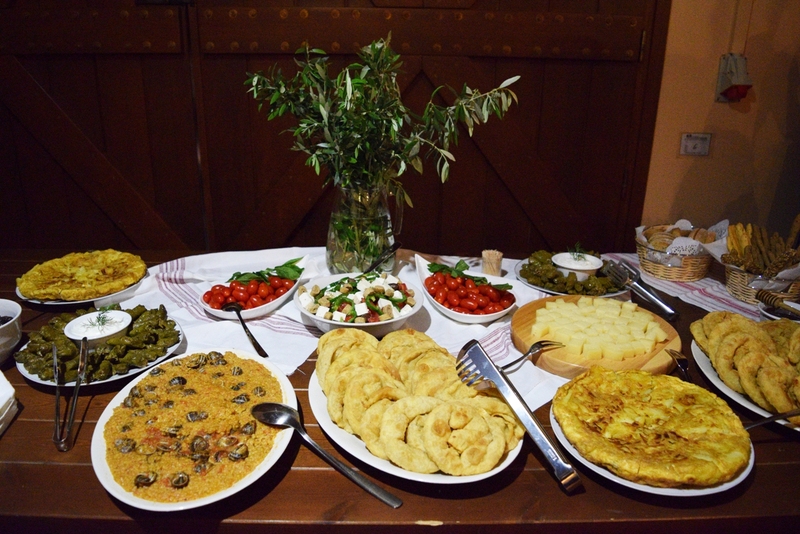 It features a lot of olive oil, fresh vegetables and fruit, dairy products and a little wine with every meal. Let’s not forget about raki, so called natural medicine. Yamas! Crete is the southern island of Europe, the closest to Africa. What does this mean? 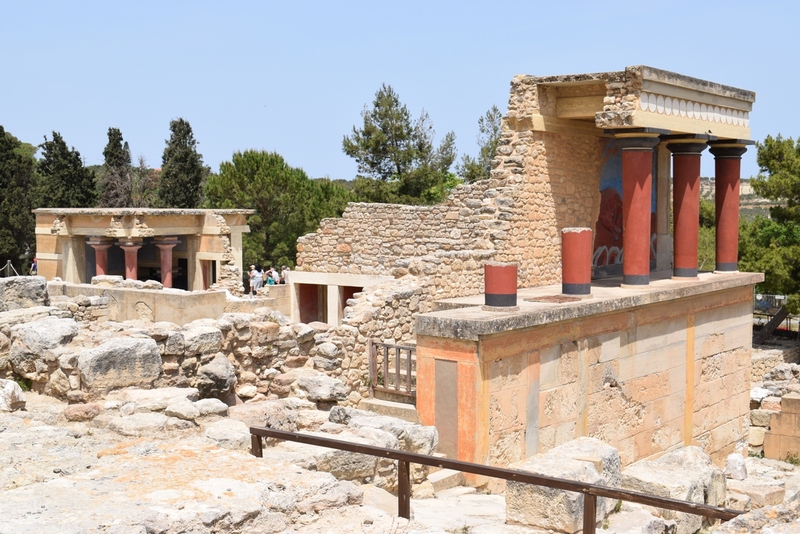 Due to its geographical position between Africa, Europe, and Asia, Crete became a center of culture as early as Neolithic times and the climate is perfect any time you come. Sure the temperatures can go as low as 10 degrees Celsius in January, but even though you won’t be able to swim, it’s still going to be warmer than in most European countries at that time. And there’s A LOT to see. Crete has so much to offer! Crete is intimately associated with much of ancient Greek mythology. In particular with Zeus, who was brought up on the island and buried here as well. 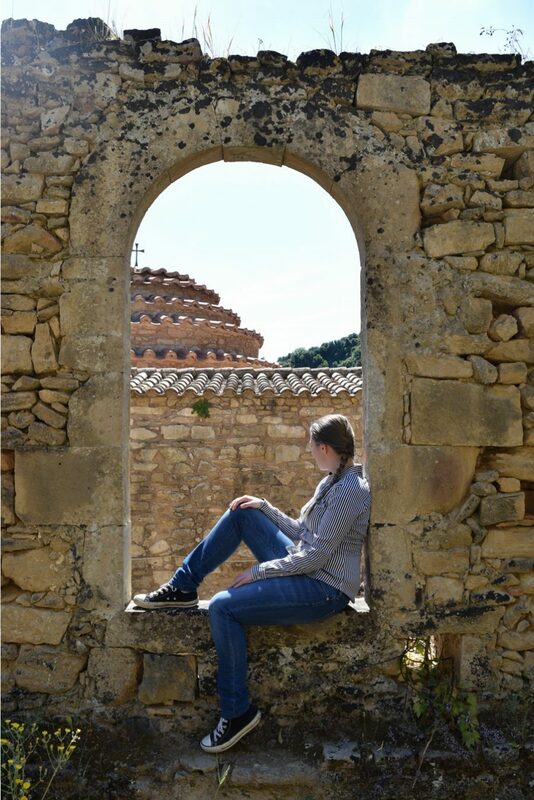 Admire the remains of brilliant civilizations and learn some more history many schools skip out due to the lack of time. People here are close to each other. They take care of their neighbours and anyone that needs help – the past has taught them how important the community is. No matter where we got we were always welcomed with a shot of raki, snacks and warm hug. Cretans seemed to be genuinely happy to have us over at their place. In my opinion it’s the interaction with locals that can change the whole experience for you – on this island it can only change it for the better. Inhabitants are fiercely proud of their homeland and maintain its many traditions. This is something I’m not used to seeing often, unfortunately, and maybe that’s exactly why I found it beautiful and surprising. Music and dance have always connected the people, whether in peace or war. These days they still play a big role in Cretan lifestyle. While everyone has heard about the dreamy beaches, many of you probably don’t know Crete is a mountainous island. The biggest mountain range is in Western Crete, the White Mountains or Lefka Ori with the Pachnes (2453 m) as its highest peak. In the middle of the island, Mount Ida, a single elongated mountain mass whose highest peak is Timios Stavros (2456 m), the highest point in Crete. 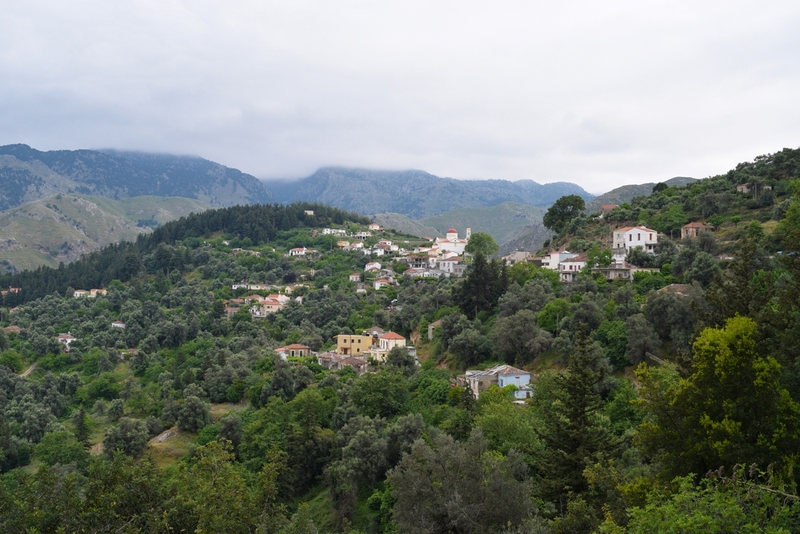 In eastern Crete there are the Dikti Mountains with the highest peak of 2148 m. All of them are interspersed with valleys, fertile plateaus, caves and a large number of gorges. We had the pleasure to walk Mili gorge. The island is so diverse and eclectic that it is difficult to pinpoint just one facet of the country that makes you fall in love. Despite being a popular tourist destination, it’s not hard to ease in slow, easy pace life. It goes on in the sleepy villages as it has done for decades. There are over 81 uninhabited islands and islets around Crete. 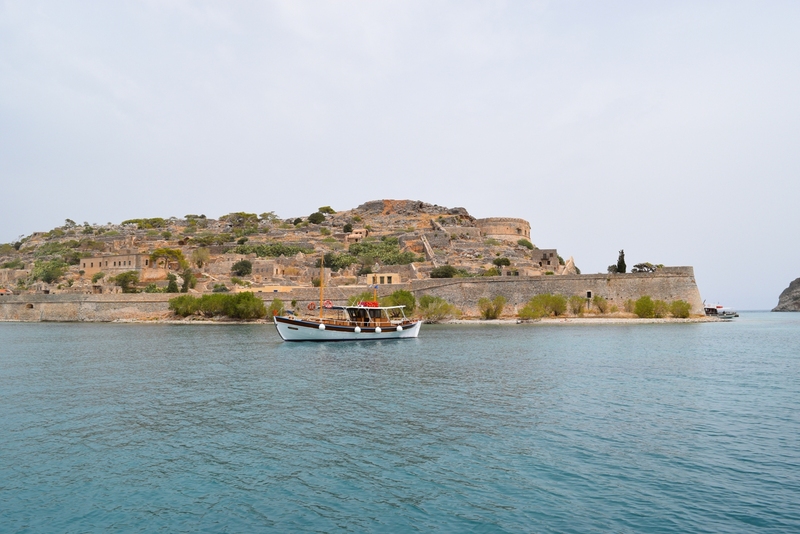 We’ve seen two of them, Chrissi and Spinalonga island – both highly recommended. More on that soon. Note we are talking the largest island of Greece. It’s coastline of 1,046 m provides hundreds of beautiful beaches. The water is so clear, you may even come across a turtle (Caretta-Caretta) when taking a dip. Some people from our group saw one while swimming in Rethymnon. 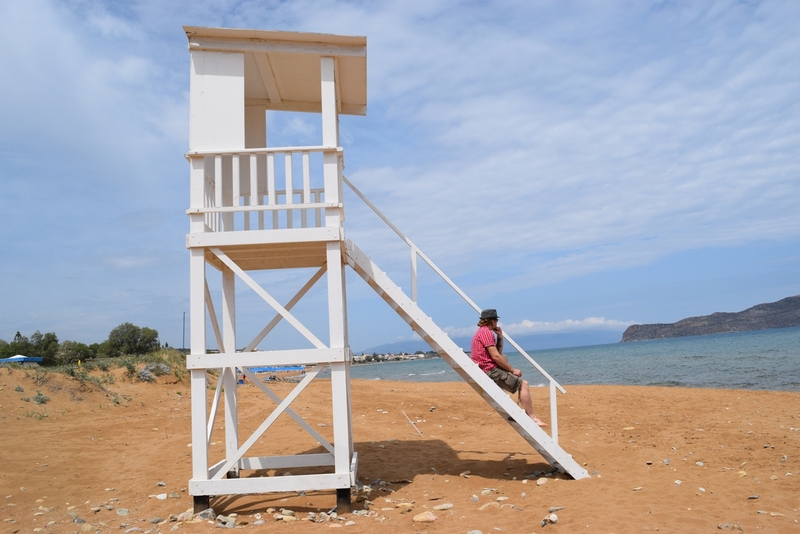 If you’re travelling on budget, you’ll be happy to find out Crete is perfect for you. Beer is around €2.5, Greek salad €4, pita giros €2.5 and full lunch is most of the time under €10 (talking average prices we saw at the old town in Chania and Rethymnon). The service is great too. We had a really good laugh when we were in Rethymnon searching for a place that serves pizza and pita giros. If they served one, they didn’t have the other. After 10 minutes of walking, we came to this outdoor restaurant with a great deal on pizza. However, I was the only one craving it so others decided to go back to the place that offered giros and meet me after. The owner over-heard our chat and before anyone could make a step away from his place, offered to make the table. “You’re not serving giros, do you?” I asked, making sure we really can’t have both at the same place. “No, but I have a cousin and he could come here and make some for you. €2.80, what do you say?” We didn’t end up eating there but the next time I’m in town (and I will be), I’m heading straight to this place. At the Botanical Park & Gardens of Crete we learnt they have plants from 3 different climate zones – tropical, sub-tropical and alpine. That means you can find anything from avocado to citrus groves and herbs at a distance so small between them it’s hard to believe. You know when you see a village and it looks postcard-perfect? I kept falling in love the whole trip. My first crush was Chania. Shops and restaurants are splashed all over tiny cobbled streets. Then I saw Lakkoi (Lakki), in the foothills of While Mountains. It looks too good to be true. 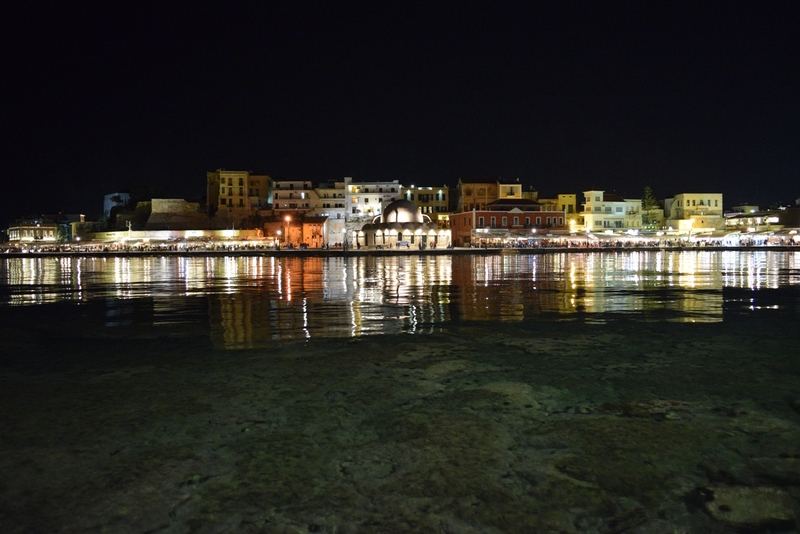 After that we got to Rethymnon and oh my, how could one not fall in love with it! Ierapetra was no exception here, the old town is truly stunning. My last crush was on Agios Nikolaos, a coastal town with a beautiful harbor and pastel-colored buildings. 14. Cheese. So much cheese! Heaaaaaaaven! Anyone that knows me just a little is aware of the fact I consume big amounts of cheese. Daily. I was born close to the Italian border, so cheese and wine are a major part of the cuisine. Greeks understand me. It’s sad their cheeses are not better known. We’ve had this discussion with a local and they told us the main problem is they don’t invest into promotion. Everyone knows feta, but have you ever tried anthotyros? I couldn’t stop stuffing myself with it once I took a bite. Don’t even get me started on kaltsounia – small pies filled with cheese like myzithra or malaka. Sweet and savoury. If you have a sweet tooth, this will make you question your whole life because it’s so amazingly good! 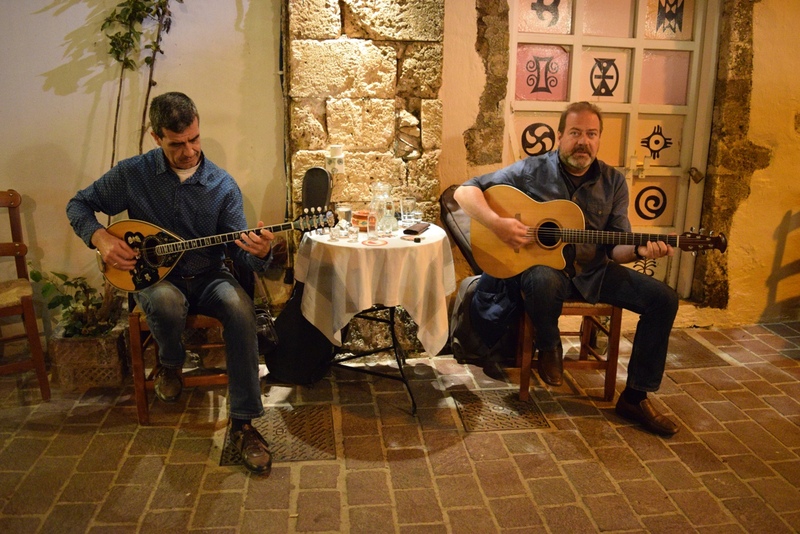 We first tried them at Taverna Psaropoula Koutsounari. They don’t call Crete “party island” for nothing! It has one of the most vibrant night scenes of all the Greek island. Bars and clubs start to fill up after midnight and the party ends early morning. Good cities for partying are Chania, Heraklion and Rethymnon. All of them are full of nice bars, dance venues and taverns. The widest scenes are in Malia and Stalis. Those are very popular amongst British tourists. Thanks to Crete Urban Adventures and Travel Massive Crete for showing us the best of the best. No time now? Pin for later. Thank you, we enjoyed meeting you too. Makrigialos looks really lovely and ticket price for the Casa dei Mezzo is very reasonable too. Oh Crete is an amazing island! i hope u enjoyed well! the best choose take a car, because there is nothing to do without a car and so we have previously ordered a car for rent! People in Crete are wonderful and hospitable! When we agreed on the Internet for our car, the rental company was at the highest level! We got our car straight from the airport! Very comfortably! We did not lose a minute and I can advise this company Beepit.gr .